Buwaneka Gunatilleka made a fine display to beat National champion Dinuka Karunaratna at the men's open semifinal of the inaugural Defenders Open Badminton championships at the Army Indoor Stadium Panagoda on Monday. This was the major upset of the day. The same pair met each other at the last National championship semifinal but Dinuka beat Buwaneka at that occasion after hard fought game. Once again Dinuka the experience shuttler was the favorite to win the match but Buwaneka played with confidence to control the game with winning first set 21/19. In the second set Dinuka came up with 21/16 to equal the game. However the deciding third set once again Buwaneka beat Dinuka to ensure his final berth. In fact this was the first time Buwaneka defeated Dinuka at a major domestic tournament. 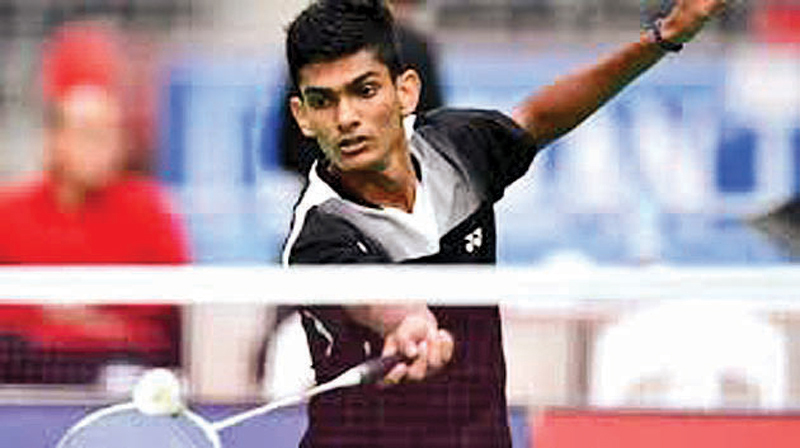 Hasitha Chanaka defeated young Dumidu Abeywickrama in straight sets 21/16,21/18 to qualify for the final. Thilini Hendahewa the National champion will meet Dilmi Dias at the women's open final. Army Commander Lieutenant General Mahesh Senanayake was the chief guest at the awards ceremony. This tournament was organized by the Army Badminton Committee together with Sri Lanka Badminton Association.